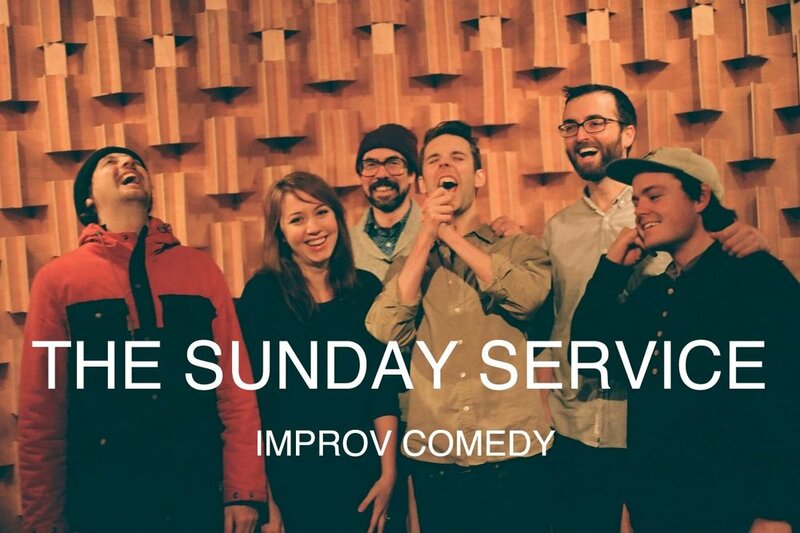 With over 20 Canadian Comedy Award Nominations, a CCA Best Improv Troupe Award in 2012, and international recognition, The Sunday Service present to audiences across North America a fast paced and singular take on traditional long form. Favouring discovery over structure, the group builds, demolishes, and builds again an absurd patchwork of scenes and stories. Using strong narratives and character work to ground their set, the group dips in and out of meta-comedy, rock opera, word play and slapstick shtick. Follow them on Facebook, Twitter, & Instagram!